I’ve always said food is prettier than flowers. I really mean it – skip the dozen roses – bring me a perfect basil plant, or better yet a dozen perfect basil plants. Someone did just that recently and last night I trimmed a few of them up and turned them into deliciousness! No recipe just yet because I the research is ongoing. My goal – create pesto that tastes like pesto (no make that the best pesto ever) without the use of any cheese or oil AND with only a minimal amount of whole foods that contain fat (nuts, olives, avocado). What I have tried so far. The above pictured version includes 2 T nutritional yeast and 1/4 c pine nuts but it also contained 3 T olive oil (1/2 the amount the original recipe called for but still TOO much – see the shine?). Taste test? – I’d give it 4 stars but certainly not a everyday food. 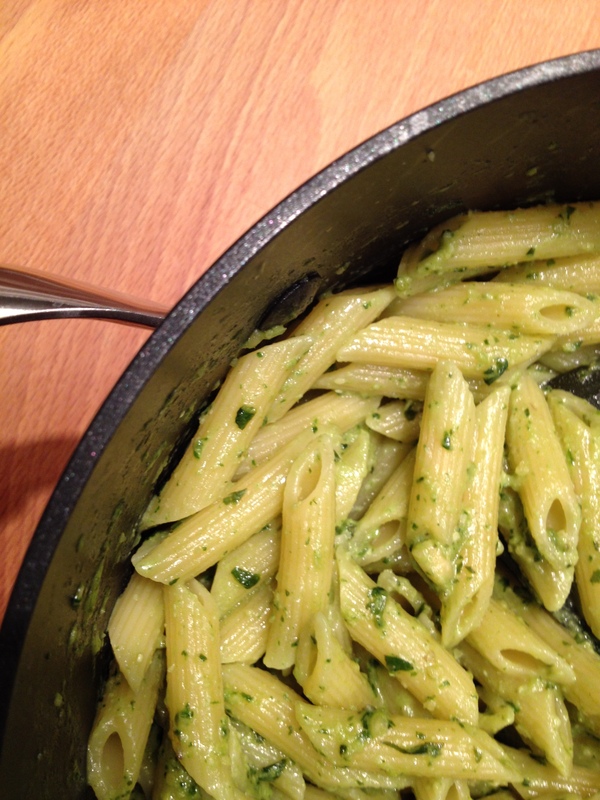 And since I have lots of basil plants, I’m still looking for a way to make everyday pesto – that I could serve to anyone while still maintaining a clean conscience. I tried substituting 1/2 avocado for the olive oil – saved calories, saved fat, saved saturated fat and got a fiber bonus. I was afraid it would taste like pesto flavored quacamole but it didn’t. Next up, can I reduce the pine nuts? How much? Would olives be better than avocado? How much can I increase the plant content? Double the basil and garlic maybe? And then toss with some whole grain pasta and lots of roasted vegetables. Oh yeah! To the kitchen! Stay tuned! 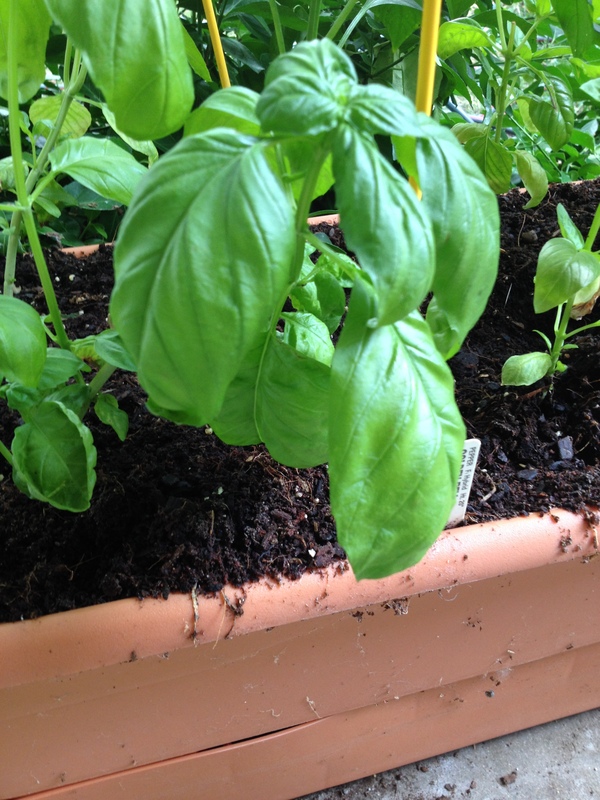 This entry was posted in Uncategorized and tagged basil plants, pesto. Bookmark the permalink.